In Vanity Fair Magazine Tim and Eric of "Tim and Eric, Awesome Show: Great Job" suggest drinking Yerba Mate before watching their show. 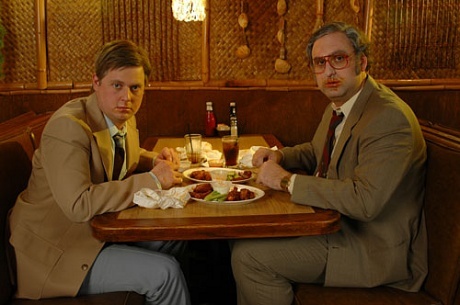 If you haven't seen Tim and Eric, check out their show on Adult Swim on The Cartoon Network. They also have alot of very funny videos online. 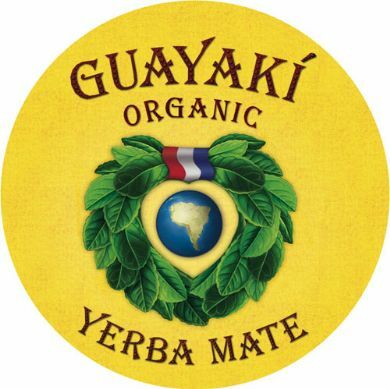 If you haven't tried Yerba Mate, stop by our store. We sell it by the cup (Iced or Hot) and packaged in several flavors (including classic organic, chocolate, chai and mint). It's unlike any other tea because of it's taste, and because of it's health benefits which include vitamins, minerals, and amino acids. Tim and Eric are too hard to explain, you just have to see their videos. And according to that tidbit they like yerba mate which is awesome. Our punch cards are awesome. The only kind of punch that makes you feel good. We currently let you have a freebie every 7 trips. If you love bubble tea, then be sure to use our punch cards. Also bring friends, and keep their punches. Earn freebies. Also, We allow you to mix up drinks of different values. So for instance a coffee one day, a bubble tea the next day, and a smoothie the next and we’ll let you use the same card. We loosen the rules, so that you can better enjoy your experience. Who wants to go to a strict bubble tea place? We don’t, and we’re assuming you don’t. Enjoy all the benefits of being a Thirstea regular! Thanks to the Married to Chocolate blog for listing us as one of their favorite bubble tea places! According to her twitter, she is on a special diet that includes Pu-Erh tea. 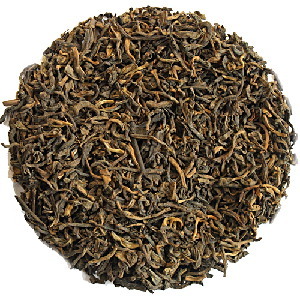 We have a terrific Ginger Pu-erh by Rishi in case you love Jessica Simpson alot. "shocked my system with a vegan diet, special Pu-erh tea from China, and cupping since friday! Who am I right now? This might be too clean! 5:31 PM Jun 27th via UberTwitter"
Nestled amongst the foothills of east India are the prized tea gardens of the Darjeeling region. 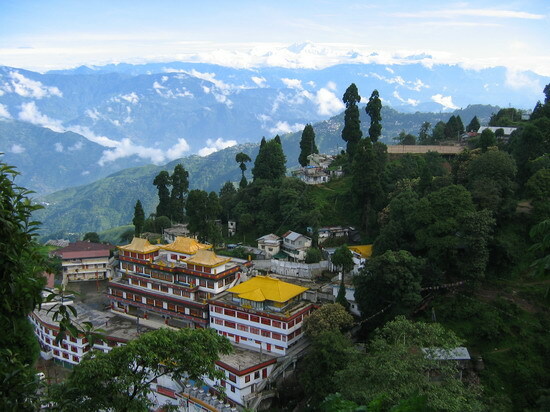 With favorable growing conditions and meticulous cultivating practices, Darjeeling produces a super-premium, fine black tea. Steeping to a golden amber hue with light florally notes Darjeeling tea is regarded as an exceptional cup, The Champagne of Tea. Each March fresh, tender Darjeeling tea leaves sprout forth, ready for their first plucking. Revered as the world’s purest cup, first flush Darjeeling tea leaves produce a complex yet invigorating flavor with a clean flowery finish. Savor the ultimate tea experience and enjoy the freshness of a first flush cup, Sip by Sip. Black tea contains half of the caffeine found in a comparable cup of coffee. Simply heat fresh, filtered water to a rolling boil. Steep tea for 3-5 minutes for tea bags and full-leaf. Experiment to find your favored steeping time. 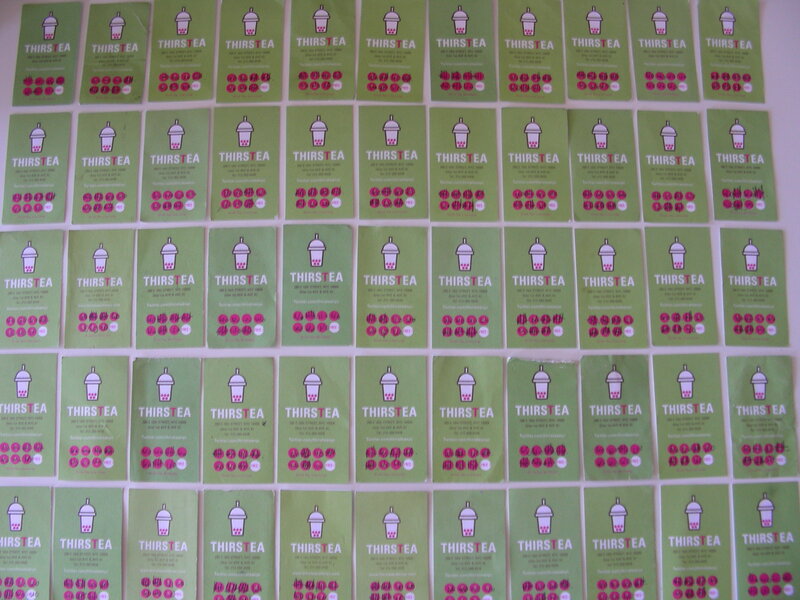 We gave away hundreds of FREE TARO'S to Thirstea customers. We just got the new Republic of Tea product. 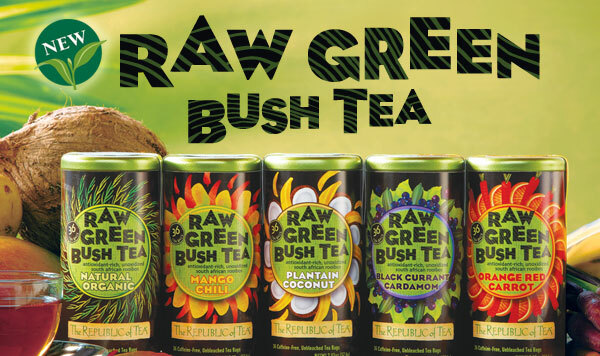 It’s called Raw Green Bush Tea, and it’s a minimally processed, caffeine free, red tea from South Africa. We have several varieties including Organic Original, Orange Red Carrot, Mango Chili, Plantain Coconut, and Black Currant Cardamon. We have some other great Republic of tea flavors including Kiwi Pear, Black Raspberry, Chocolate Mate’ and Pomegranate Green Tea all available by the package. Great for hot or iced teas, and great as gifts. 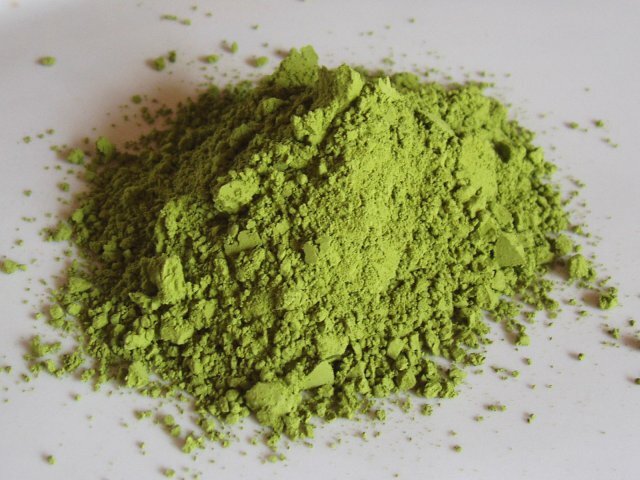 Organic matcha powder comes from gyokuro, a Japanese green tea plant that is covered with reed screens three weeks before harvest to shield it from sunlight resulting in a deep dark green leaf. The pure dried leaves, minus their fine veins and stems, are then ground into a fine powder, almost the consistency of talc. Rich in antioxidants, matcha is the revered tea of the centuries-old Japanese tea ceremony. Sipped only on occasion, this tea is traditionally prepared in single portions, whipped to a frothy green color with a bamboo whisk. This jade-hued infusion offers a spring-time grassy flavor and the smooth character makes it a good partner with sweet or savory foods. Green tea contains very low levels of caffeine, less than a quarter the amount of caffeine per cup than in a similar-sized cup of coffee. To prepare, mix one teaspoon of matcha powder in a small amount of water to make a smooth paste. Fill the kettle with fresh, filtered water and just short of boiling. Add 6 oz. of almost boiling water and whisk until frothy. Enjoy Sip by Sip. 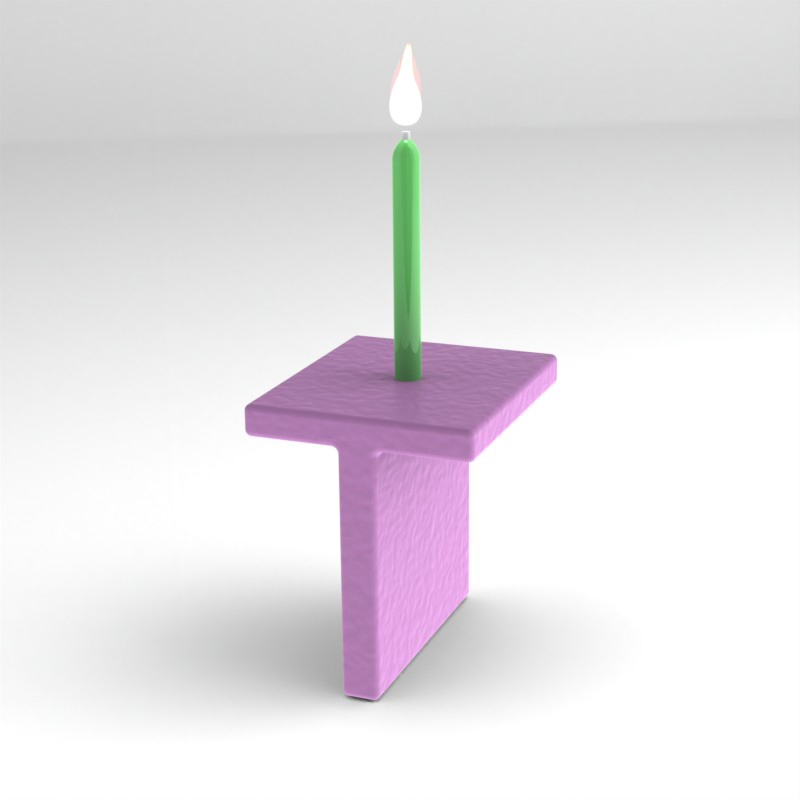 Today is our one year anniversary, and we are celebrating this saturday with FREE TARO BUBBLE TEA*. They say your first year in business is your hardest, and our first year has been an absolute blast thanks to the best customers in the world. We’d like to thank everyone with a free taro this saturday July 17th!